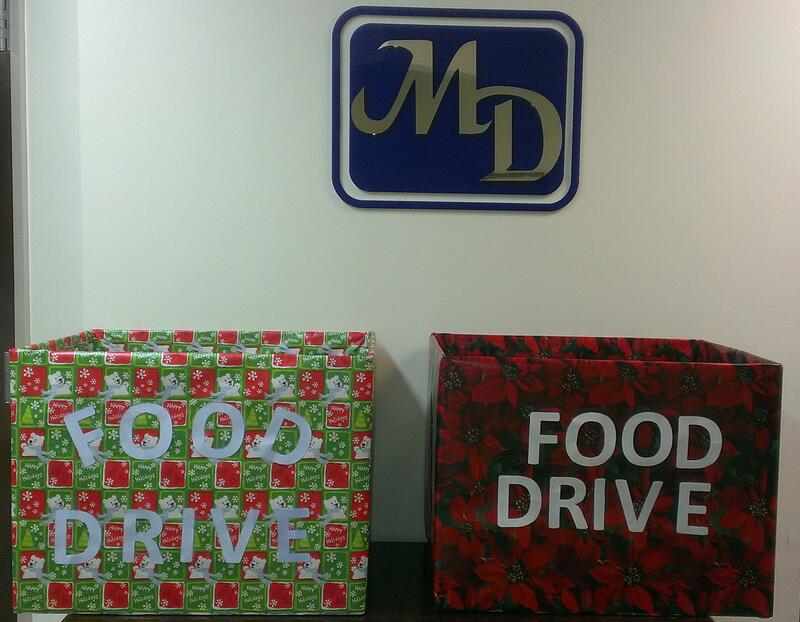 McChesney & Dale, P.C., is sponsoring its second annual food drive in its headquarters building (OMNI Professional Building, 4000 Mitchellville Road, Bowie, MD 20716) from December 2 to December 20, 2013. All donations will be made to the Bowie Interfaith Food Pantry who will package and distribute holiday baskets to families in need. Please be sure donation items are not expired. We welcome you to place non-perishable items in the boxes located in the lobby of the OMNI Professional Building. The final collection of donated items will occur Friday, December 20, 2013, at 5 p.m. This entry was posted in Uncategorized on December 2, 2013 by mcchesneydale.